★ Exclusive Audi A3/S3/RS3 8V carbon MMI - facelift. Genuine Audi interior part finished with OEM carbon textiles. Handmade in Germany. 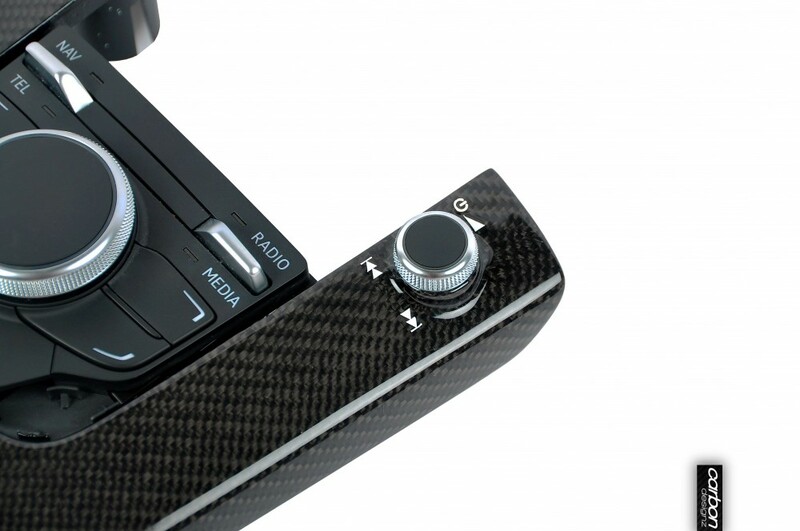 Genuine Audi OEM part finished with genuine carbon fiber - perfekt fitting! The finishing process can take up to 2 - 3 weeks + express shipping. Our finished parts are no mass production! Every part is exclusive, individually and handmade in Germany. 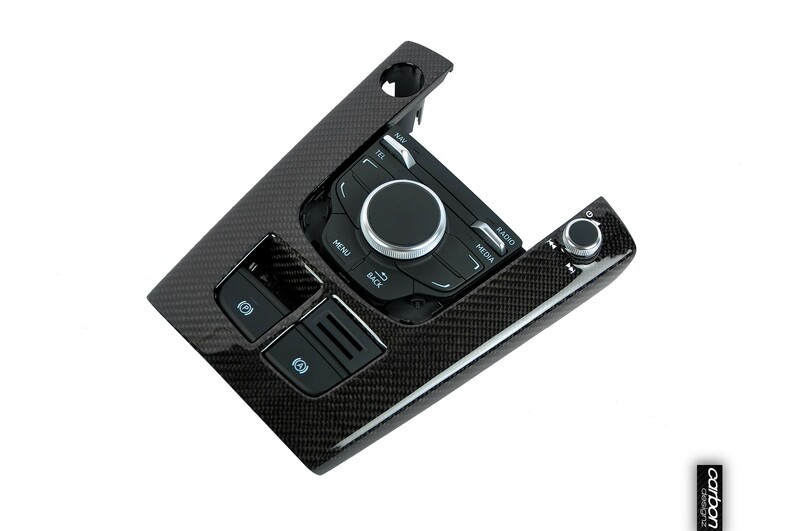 For more informations, please take a look at our carbon fiber overview and description below. mine has the MMI touch but no HILL hold Assist button (A). 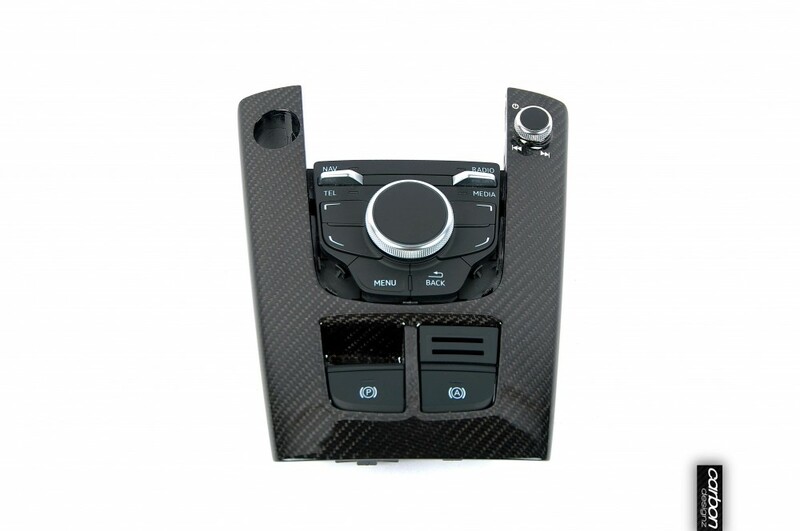 Do i Have to uninstall all the buttons and rotor from mine and install them to the Carbon? the picture is an example. we produce the part with carbon. before we start with the prodcution we need your vIN at the order to check whcih part is correct for your car! u get the correct part which u have from factory in your car!